We go through life seeing paths that have been traveled before. Although our path is a little different we see notes on the side offering wisdom and advice. The notes are from old saying or quotes that help make the road easier for us. It is interesting to know the origin of the phrases that many of us use in everyday talk. We know that the saying means that the information is very reliable because the person in question gave it to us. Did you know though that before all of the technology that we have today horses were a big asset to have? 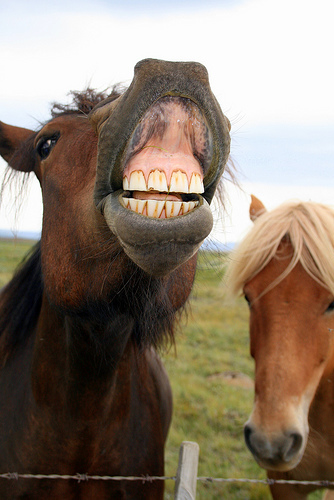 A horses real age can be determined from its teeth. So it follows that if you know what you are looking for a look into a horses mouth can tell you how old the horse is. This is very valuable information in determining if you would like to buy the horse or not. If someone gives you a horse you should be thankful for the gift and not be trying to find out it’s age, thus the saying “Don’t look a gift horse in the mouth”. There are so many sayings, lyrics, and quotes on the road of life. If we get them in our heads we can find times when they give us encouragement! Leona J. Atkinson has a blog called (SGLY) Smile God Loves You. In it she mentions a story that illustrates how little nuggets on the road of life can help us in times of need. Leona was a marketing demonstrator in a store. The time was going by very slowly because she was bored. She was watching the clock waiting for her next break or lunch hour. 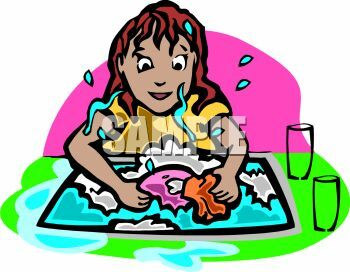 In her boredom as time stood still she remembered a time when she was eight years old and was behind a sink full of dirty dishes. She was waiting for her father to tell her she could be relieved of her duties. She was hoping he would let her go away and play. Instead he recited a little lyric to her. “When a job is once begun, Never leave it til it’s done, Be the labor great or small, do it well or not at all.” The author of that lyric is unknown but the memory of her dad reciting it stayed with Leona. As she was smiling at that thought people started smiling back at her. She started enjoying meeting them and began enjoying what she was doing. When things calmed down she actually went to other parts of the store and met people she wouldn’t have if she had stayed put. The time flew by and it was all because of that memory of something so simple. A saying that I like is “When life gives you a lemon, make lemonade” I hope that this blog has been a cold drink of lemonade for you in a time of spiritual thirst! No words are truer than the saying “The best things in life are free.” God’s salvation that he offers to all of us tops the list! Please take a minute after you read this and comment on any sayings or quotes along the road that have helped you at certain times! Maybe what has helped you will be a helpful sign to someone else passing by! Thank you again Leona! It was a beautiful story that illustrated my point perfectly!